Compared to Android and iOS mobile operating systems, Blackberry 10 focuses more on workflow and true multitasking, allowing easy copy and paste between programs, something which the other mobile systems continue to lag behind on. Further, the Hub allows all connected accounts from multiple email providers, text messages, phone calls, etc. to all appear in a single view, along with intuitive quick actions to reply or delete messages or view only unread messages. The swipe and peek functions allow users to quickly view (or "peek") at the Hub from any program that is already open so that interruptions in workflow are minimum. Blackberry is also secure and provides encryption on communications in and out of the mobile device. Blackberry 10 is essentially a mature operating system. This does not mean it is polished and feature complete, but rather that updates not longer focus on adding new features but moreso on security going forward. Further, the app availability is limited and continues to shrink over time, meaning that many useful apps including banking apps will not be compatible with Blackberry 10. Blackberry 10 is a mature system. You should consider if the current feature set meets your needs, because if not, it is highly unlikely that they will be added in the future. If it meets your needs as it currently is, it is an effective, robust system focused on easy communication and security. Blackberry 10 provides a secure mobile platform for confidential communications along with the requisite encryption features. The Hub provides an effective gathering place from communications coming from multiple email providers and other sources. The BlackBerry Hub makes emails and messages easy to manage. The operating system is very secure, Once you get used a few differences in operation it is as easy to use as iOS or Android. The system is not bloated, and works well with a slower processor. It will even run many Android apps. It is not a full Android System, and apps that require Google Play will not work. There are many apps that are not available, or if they are don't work correctly as they were not designed for BlackBerry 10. It is now near end of life, would recommend Android or Apple products instead. Delivery of email, and messages to employees who work out of the office. "Good software but still lacks"
what I really like is that there was a very good face wash over other versions of blackberry. gestures are really well implemented which creates a good user experience and different. another very good is the preview of the minimized application that gives us a relevant info of what you do luck with that. as I said Antério gestures to access the hub backberry very good. deletion of the words of a message by this great swipe. one of the things I do not like are the suggestions when writing a message would be better to place a horizontal list above. Would recommend for a user who is starting in the world of telef. intelligent because even it lacks the software to be as competitive. but I would recommend to my friends who use these phones are also nice and really had a breakthrough in this version of operating system.! "Innovative and intuitive OS geared for getting work done"
The gesture based interactions seem like it should be a no-brainer on any mobile device once you use it. It allows quick one handed operation to take a quick peek at messages without having to do any awkward side swipes or button presses. The Hub is simply amazing - integrating all messaging apps into one area, which eliminates the need to pop into separate apps to check messages from different platforms. Notification profiles are also second to none; allowing different and granular settings for different environments. Unfortunately due to some poor decisions with the app ecosystem, apps never flourished enough to keep the platform alive. The lack of apps and support of other vendors is really apparent when trying to do anything that isn't mail related. Circumventing Google's hold on the app market by shipping an android runtime didn't bode so well when Google essentially enforced Google Play enabled apps which basically only work on the android OS. With the impending end of support, it sadly doesn't make sense to continue in using the platform. Another Betamax/VHS story unfortunately. BB10 is all business and it is apparent in its design and functionality. With its tight integration to business mail and calendar, it lets our road warriors work efficiently as if they were still at the office. "BlackBerry 10 - User since released"
The best attributes of BB10 are the multi-tasking ability (multiple apps open at once and ability to switch through them) and Blackberry HUB - both increase productivity for the user. Another benefit is the feeling of good quality enterprise security for emails and communications. We found that the operating system can be easily slowed down. Startup (boot time) takes FOREVER on any BB device (newer and certainly older). There have not been many recent updates to this OS, which makes me think that BB isn't interested in continuation of this OS. They seem to be moving towards providing Android-based OS on their new devices. Would like to see more OS support / updates from BB. Balance the need for security, multiple desktops and productivity (pros) with lack of access to common apps available on other platforms and slow boot speeds (cons). - Be mindful of the boot speed (extremely slow on all BB devices). We need to ensure we have adequate data security. 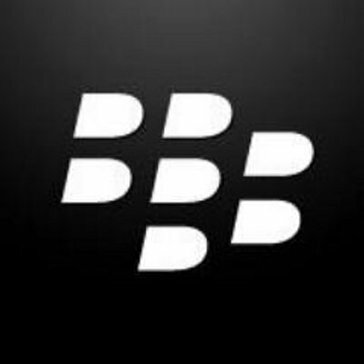 Since using Blackberry enterprise wide, we have had no data security breaches. We also need a reliable device that will work in tough environments. BB10 seems stable enough, with few users reporting significant bugs or defects in the OS. "Chosen By Engineers, not sure who designed it." It's a fluid continuation of the experience presented in BB5; with activesync support. It's a fairly versatile OS for business users. The BB classic devices at very least make amazing mobile hotspots - the battery life is amazing. It was very clearly an OS designed by engineers - who made the logical choice - a stable, efficient operating system. It's just never caught on in the developer world, so consequently has never had much developed for it. Mobile working mostly. the classics do work very well with anyconnect. The BB10 OS is great for enterprise needs. It is secure, encrypted, and incredible efficient, allowing users to respond to messages without leaving apps or other documents. The OS is extremely limited, particularly in the apps you can put on the phone. Able to manage multiple profiles and e-mail accounts. Love efficiency of blackberry hub, removeable batteries, mini hdmi and physical keyboard. Loss of facebook and popular apps, not enough consideration for existing users. I really like Blackberry OS. It is simple, clean, and full of features for someone who is busy. BBM is great, and the Blackberry hub is absolutely amazing. The simple lack of 3rd party apps completely ruins any chance this OS has of being my first choice. Honestly, just get a Blackberry Priv, or an iPhone. "Dying OS for a Dying Phone brand"
Visually pretty, but that's about where it ends. Clunky animations, slow response time, playing catch up with newer OS designs by competitors while still being stuck in the past. Skip it. Business / Enterprise solutions from other companies have caught up or surpassed that of Blackberry. It's very dated and slow. There must be a better program that can meet our needs. * We monitor all BlackBerry 10 reviews to prevent fraudulent reviews and keep review quality high. We do not post reviews by company employees or direct competitors. Validated reviews require the user to submit a screenshot of the product containing their user ID, in order to verify a user is an actual user of the product. Hi there! Are you looking to implement a solution like BlackBerry 10?